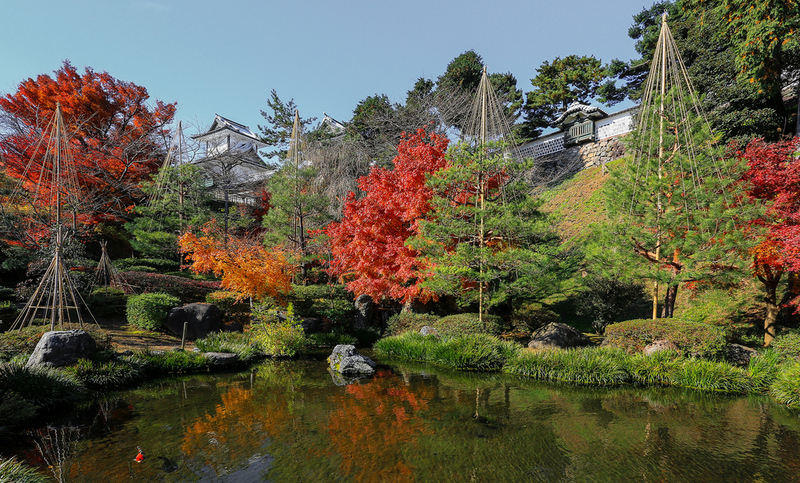 Kanazawa is a fantastic place to see Japan’s famous autumn colors. The city is filled with parks and green spaces where you can enjoy the colors. Here is a list of the best spots and information on timing. In a hurry? 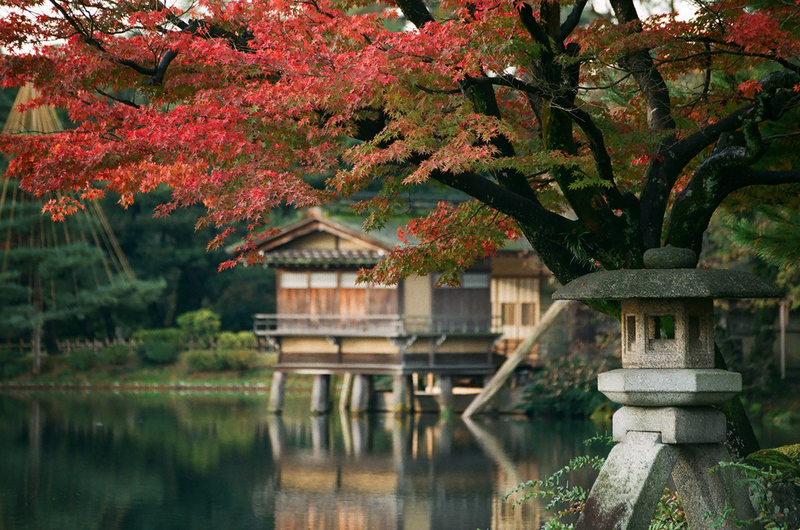 Scroll down for our list of the best foliage spots in Kanazawa. Otherwise, read the following section on the best time to see the autumn colors in Kanazawa. When is fall foliage season in Kanazawa? In Kanazawa, the leaves start changing color sometime in October. The peak of autumn color usually comes in mid-November, and you can usually see colors on the trees until mid-December. 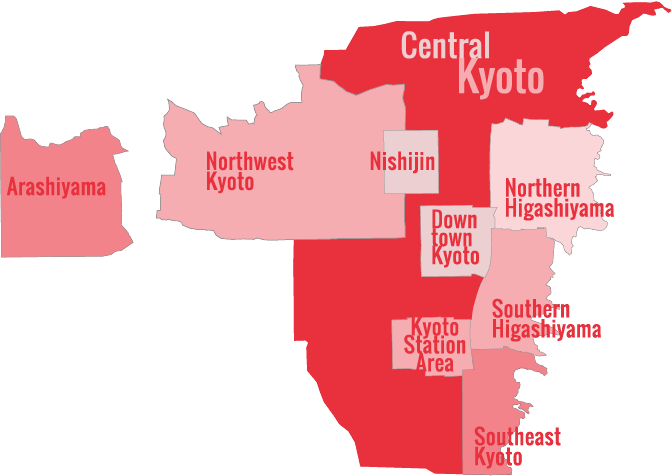 Thus, in an average year, the foliage season in Kanazawa lasts from 15 October to 15 December, with a peak around 15 November. Here is our list of the best fall foliage spots in Kanazawa. For more details on these places, visit our Things To Do in Kanazawa page. Oyashirazu path, Kenroku-en Garden: This pathway in Kenroku-en offers a superb view of the maples reflecting off of the water. Yamazaki-yama Hill, Kenroku-en Garden: Sometimes referred to as “Maple Hill,” this hillock in Kenroku-en has some of the most beautiful maples in the city. Suzuki Daisetsu Museum: The Roji-en Garden behind the museum has some lovely foliage in the autumn. Terashima Kurando’s House: The garden at this quiet samurai house of Terashima Kurando is a great place to enjoy the fall foliage without the crowds. If you have more time: Hakusan White Road: This toll road, which leads over the mountains on the border of Ishikawa Prefecture and Gifu Prefecture, is a great way to enjoy the fall foliage in September and early October (the leaves turn earlier in the mountains). This is also a good way to get to/from Shirakawa-go, which is home to the famous thatch-roof houses. It’s recommended if you have a rental car.